The Best Way To Pick a Peach: Handle fruit carefully because peaches bruise very easily and decay develops rapidly. The Best Way To Select a Peach: Look for peaches with a creamy to gold undercolor that best indicates ripeness. The amount of red blush on fruit depends on the variety and is not always a sign of ripeness. Two other indicators of ripeness are a well-defined crease and a good fragrance. Select fruit that has begun to soften for immediate use. Firm, ripe fruit can be held a few days at room temperature to ripen further. Never pick peaches with a green undercolor since they will not ripen well. They will shrivel, become flabby and never achieve a good flavor. The Best Way To Store a Peach: Peaches should be held at 32-35°F in high humidity. Fully ripened peaches should be refrigerated immediately and kept there until ready for consumption. 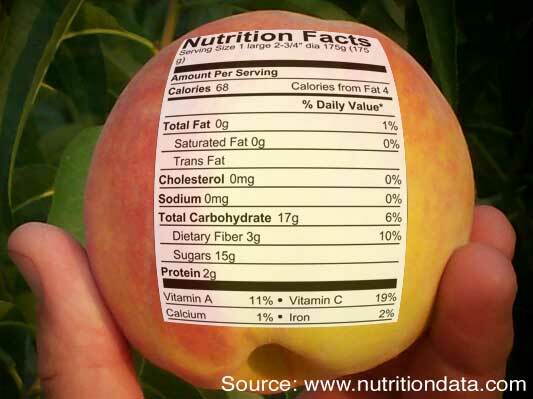 Sound and mature, but not overripe, peaches can be expected to hold 1-2 weeks at 32-35° F with little adverse effects. Peaches deteriorate rapidly when stored for longer periods. The Best Way To Ripen a Peach: Room temperature of 65-70°F is best for mature peaches. There is no gain in sugar content once a peach is picked from a tree. Its ripening process consists primarily of softening, developing juiciness, and developing flavor. So the riper a peach is at harvest, the more sugar it will contain. Remember, once a mature peach begins to ripen, it never stops; but you can slow the rate of ripening by storing it in low temperatures. The Best Way To Prepare a Peach: wash peaches gently, peel, and remove pits. Handle carefully to avoid bruising. To peel a peach, dip it in boiling water for 30 seconds, then in cold water. The peel should slide off easily. To keep sliced peaches from darkening, dip in lemon juice or ascorbic acid.